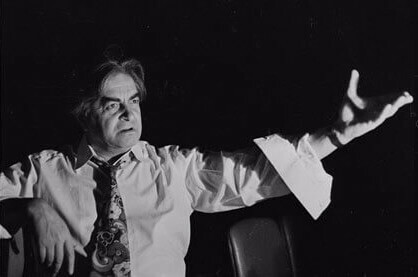 World-renowned Russian and Soviet theatre director Yuri Lyubimov (1917–2014) rose to fame and notoriety after founding Moscow’s Taganka Theatre in 1964. 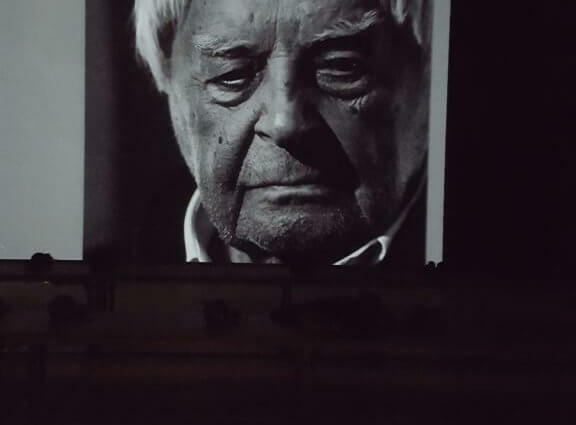 Although Lyubimov died at 97, just a few years short of what would have been his one-hundredth birthday, the Museum of Moscow recently celebrated his centenary with a special, performative exhibit entitled Lyubimov And Time. Emiliia Dementsova reports on the exhibit. 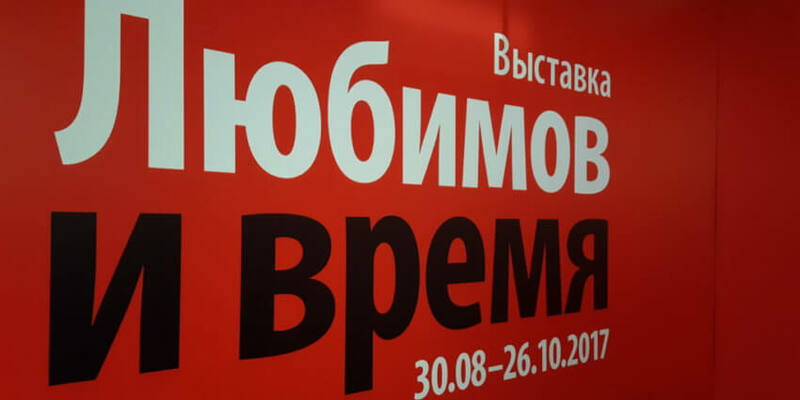 Lyubimov And Time, exhibit at the Museum of Moscow, October 2017. Photograph courtesy of Emiliia Dementsova. Yuri Lyubimov turned 100 years old…An epochal man living through the century that was not the best of times at all. Honestly the Master in the role of the great man he was cast to play in history outshines history itself. His productions were closed and banned. Then his productions were recorded on film for the benefit of posterity. There was an outpouring of impersonal words, read from typed, paginated, official-looking notes, words bearing no name, yet empowered to speak “on behalf…” The number of faces lost (“Beware of losing your face!”) equaled the number of words never kept. Words uttered mindlessly on the spur of the moment, and words meant, after a promise have been made, to be promptly forgotten. There were words said in the face, and words said behind the back, and, ironically, the latter sometimes proved more honest than those spoken “without batting an eyelid.” Lyubimov waged his war for words not for the sake of witty or lofty words. He fought for the right of words to be heard, for the right of the theatre-goers to hear words. His shows, addressed to the audience, invariably maintained conversation with each spectator individually, not with the audience as a body, not with a “collective.” Therefore the ever-present twinkling in the darkness of the house, sometimes it was the green flashlight of the director, and sometimes the eyes of the spectators. They say that theatre cures. If true, that makes Lyubimov a surgeon, “I often have to cause pain to people, so that they have a good life henceforth,” as a certain Doctor from a movie put it. Lyubimov was into oncology, tirelessly attacking the metastases of the encroaching darkness. He knew only too well the meaning of “darkness that came,” knew when producing Bulgakov’s The Master And Margarita in 1977, knew when producing Dostoyevsky’s Demons in 2012…Lyubimov was an ophthalmologist. All his life struggling to cure human blindness, to enhance the field of vision. 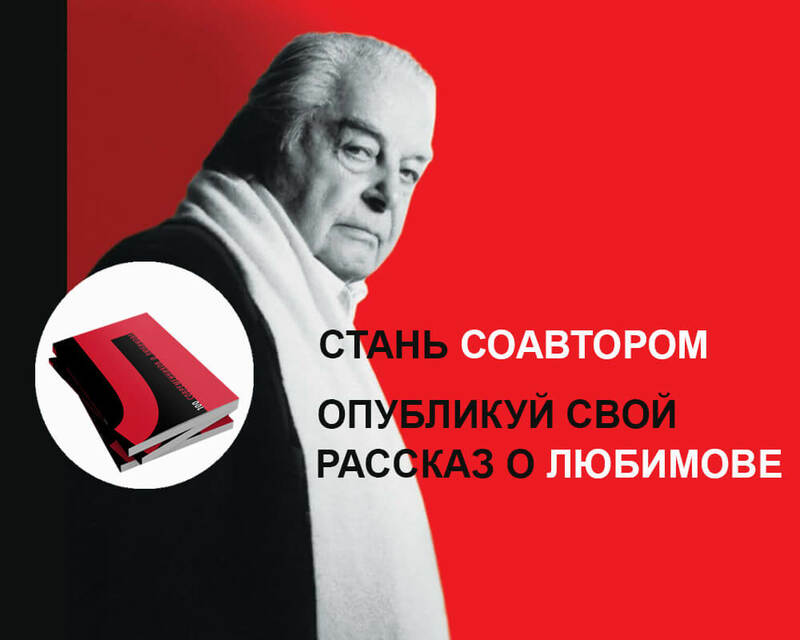 Lyubimov had cured the deaf-and-dumb syndrome of several generations, by breaking off the padlocks of bans that kept under the seal of silence certain topics, names, book-titles. Always calling things by their names, always signing his own name when it was much safer to use a pen-name, always covering others with the shield of his name and talent. And what a bunch of great names he had nursed! Some of them are dead, men die, so do productions. His ear was unique. His pitch was absolute, as anyone could see (hear) in any of his productions. The Demons, that eventually evolved into the form of a concert performance, is played as if to a musical score. With a conductor like this cacophony is impossible. The director often jokingly referred to himself as “operupolnomochenny”–“special operative agent,” a police force term for an investigator with a bit more tether than ordinary–meaning that he was a “special operatic agent.” And indeed the Master had staged Eugene Onegin, Khovanshchina, Boris Godunov, to name a few, the musical scores were matter at hand for him, he had worked them through. “Opera” literally means work, labor, artistic production–life, basically. And the Master with his life illustrated…oh no, with his life he illuminated the lives of others. Lyubimov was a man who opened eyes of several generations. Lyubimov was loved. Director, actor, professor, award winner, reformer–all that is still not enough to make his portrait. Himself both The Good Person Of Szechwan and A Hero Of Our Time, both Molière and Sganarelle, he was a man who knew how to say Listen! with Mayakovsky, and how to ask What Is To Be Done? with Chernyshevsky, who knew whom to tell Tales, and the right season for exorcising Demons. This unique theatrical-artistic composition has a sub-heading: 1917-2017. 100 Years Of History Of The Country And Of The Man. 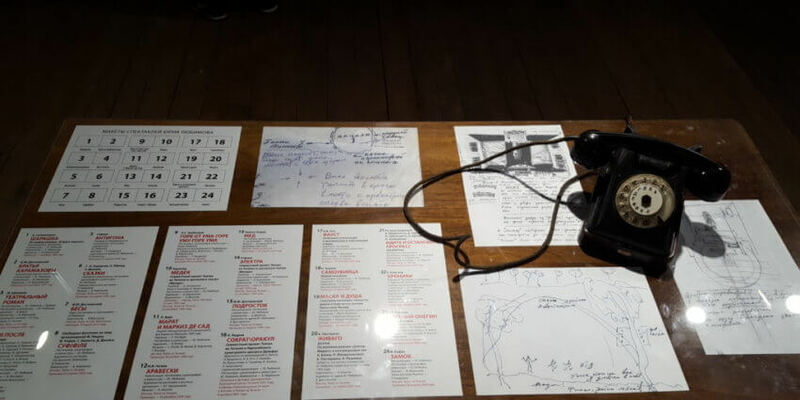 The word “exhibition” seems a bit narrow for this very uncommon, both as to the concept and implementation, complex, that has recently emerged in the Museum of Moscow. 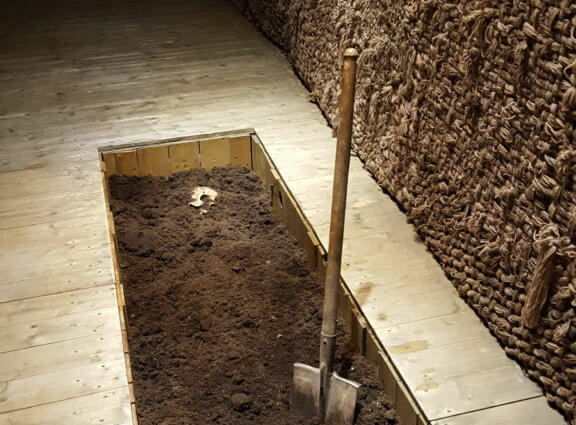 The initiator and the curator of this event–and it is an event, in this case, the word is not an exaggeration–is the widow of the Master, Katalin Lyubimova. 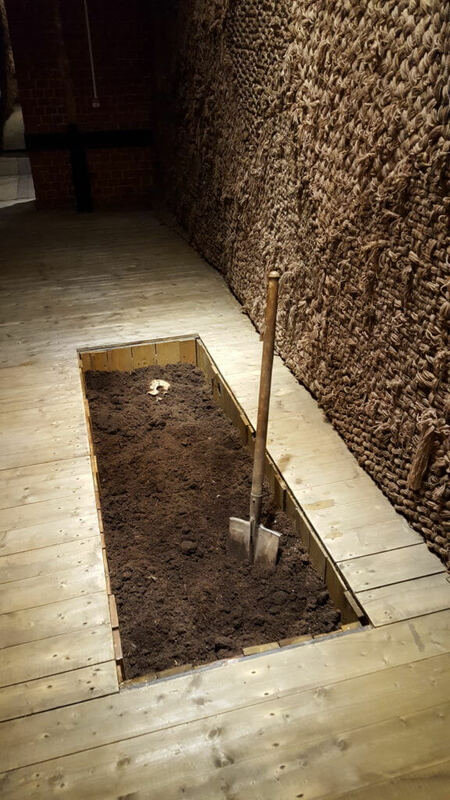 This might be the reason why you don’t feel that cold, formalistic aloofness typical for museums generally in the space of the former Victualling Storehouses, that now are the Museum of Moscow. The visitors are welcomed by the greeting word of Katalin Lyubimovaherself, she addresses each newcomer personally: “Dear visitor!” It is intended to be such since the visitor is to embark on a very personal (immersive, as they like to say these days) experience: living through the life of The Man Who Was Theatre. Katalin Lyubimova, the head of the board of the Y.P. 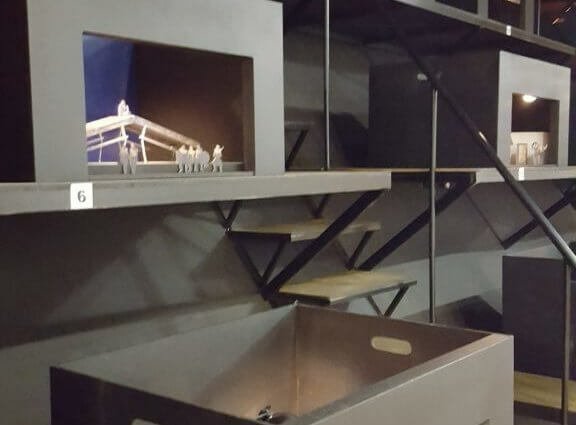 Lyubimov charitable foundation for developing theatrical arts, that made this artistic gift to the Moscovites, says: “This exhibition features installations that represent the scenes from Yuri Lyubimov’s signet productions. 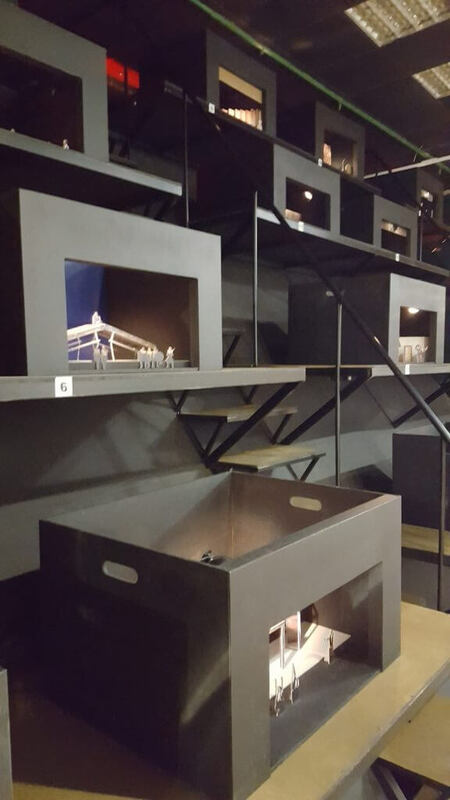 The installations can give some idea of what the general atmosphere of Lyubimov’s shows were to those who never saw any. 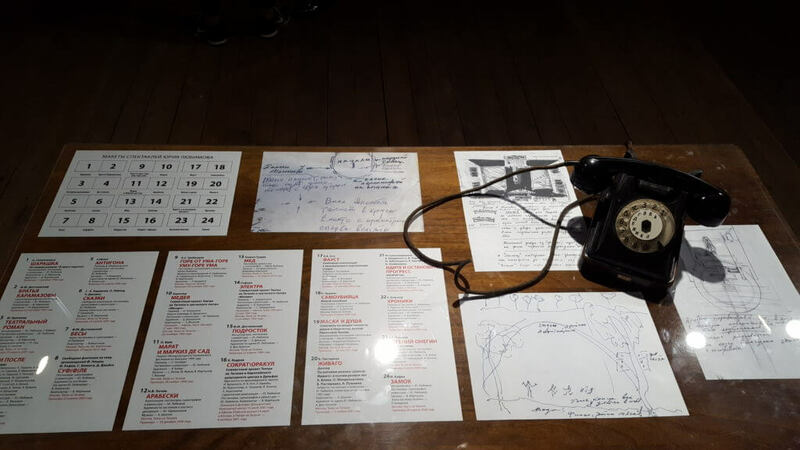 As to those who had seen his shows, the installations will help to recall and live-through once again that experience–the moment of coming in contact with his productions. The life of the creator of the Taganka Theatre was a difficult and demanding journey that he had made together with his country…” “Atmosphere” and “journey” are the key words, they set the tone of this whole theatrical composition. 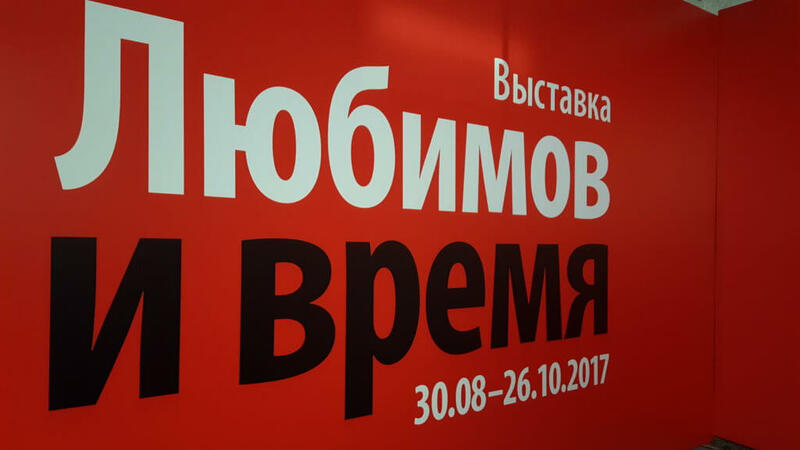 In other words, the opening of the exhibition Lyubimov And Time may very well be seen as the first opening night of the new theatrical season. Even when gone the Master still leads, in all senses of the word. 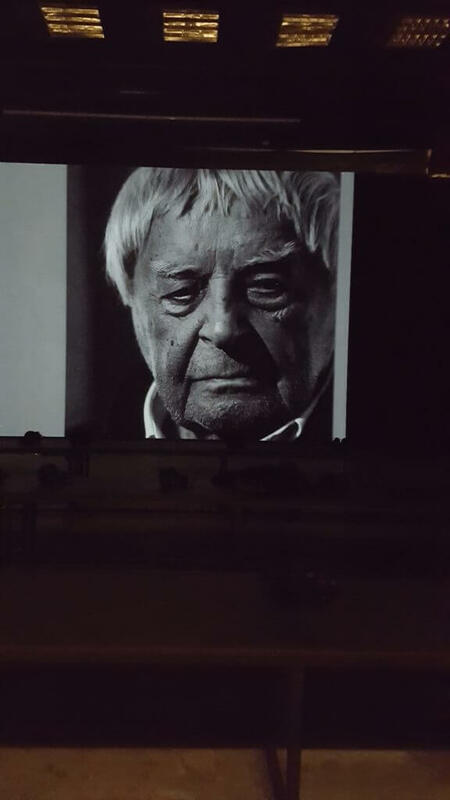 The layout narrating about the milestones of the trail that Lyubimov had blazed in the theatre is bracketed (or embraced?) by two corridors that chronicle the events from 1917 to 2017. The walls that make these separate spaces are transparent: the theatre reflects its time, and is reflected in it. There is a lot of air about, yet some nooks of the exhibition space (and it is a maze structured by a most dynamic theatrical story-line), you can feel the musty breath of that which, according to Mandelstam, was the “wolf-hound of a century.” Here you can sense the Russian spirit of the Alive (a 1968 production based on the novel by Boris Mozhaev, that was banned), and the sepulchral chill of the 1971 Hamlet starring Vladimir Vysotsky (both Yorick and the grave-digger’s spade are on display). The bygones come alive, but helped along not by memory alone: production sets once designed by David Borovsky were made mobile and animated, and thus even the most mortal of arts–theatre–resurrects from the realm of non-existence. From the murky epoch, from semi-darkness of the behind the scenes visitor proceeds into the bright, dazzling light of the footlights, and is to make an impromptu entrance on stage. Here the director’s life is represented as going through the stages that a theatrical production moves through when in progress, when making its journey to the public, into the world, to light, even if only to the light surrounded by the impenetrable darkness beyond the windows. But it is an extended finale. The very last exhibit the open-day guests of honor, theatre people, close to theatre people, and just people (we are all equal as theatre-goers) see is the banner stretched over the threshold, with Lyubimov’s words on it: “Nobody can break a man who is strong.” A bidding and a cheering to the colleagues in disgrace from the exiled Master whose prescience let him know everything about us in advance.